The 2012 Barlow Merlot has a deep, concentrated violet-purple color with aromas of rich red cherry, raspberry and chocolate with an essence of sweet French vanilla. The palate is elegant and highly concentrated with rich and generous flavors of ripe cherries, fresh strawberry and currant. The tannins are soft and luxurious and are a great counterpart to the flavors of coffee and sweet oak. 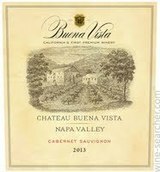 Sleek and well-balanced, with appealing flavors of cherry, grilled anise and spice that stretch toward ripe tannins. Drink now through 2021. 330 cases made.